We had an awesome opening 24 hours, raising 45% of the initial funding goal. Things are bound to slow down after this, but I’m very hopeful that this campaign can reach a total of $2500+ by the end of its 30-day run. 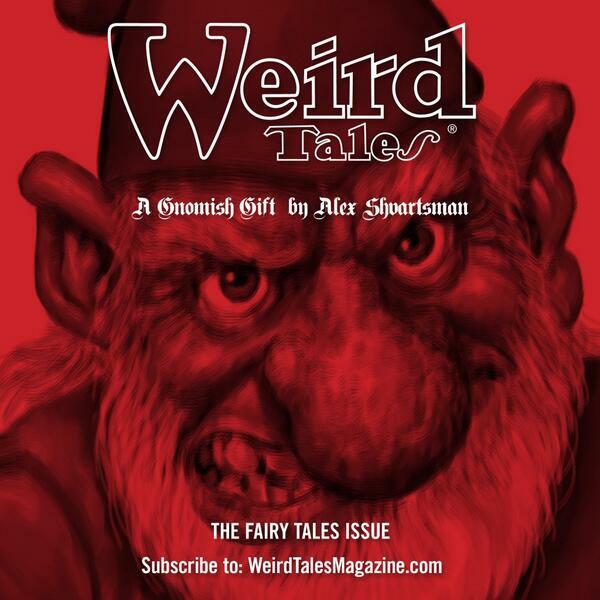 Up to 50% of the money raised between $1000-$1999 will be spent buying original stories, in addition to reprints. (The limit being only the quantity and quality of the stories I might see on submission) — at professional rates. 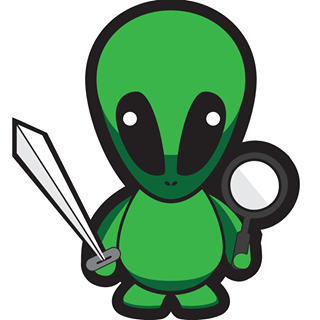 At $2000 I will announce the super-secret achievement (and I am pretty sure you will really like it!) which will be unlocked at $2500. For now, please spread the word of this project. There are gazillions of coffee fans out there and this book can be huge if we are able to get even a fraction of them aware/involved in th is project. 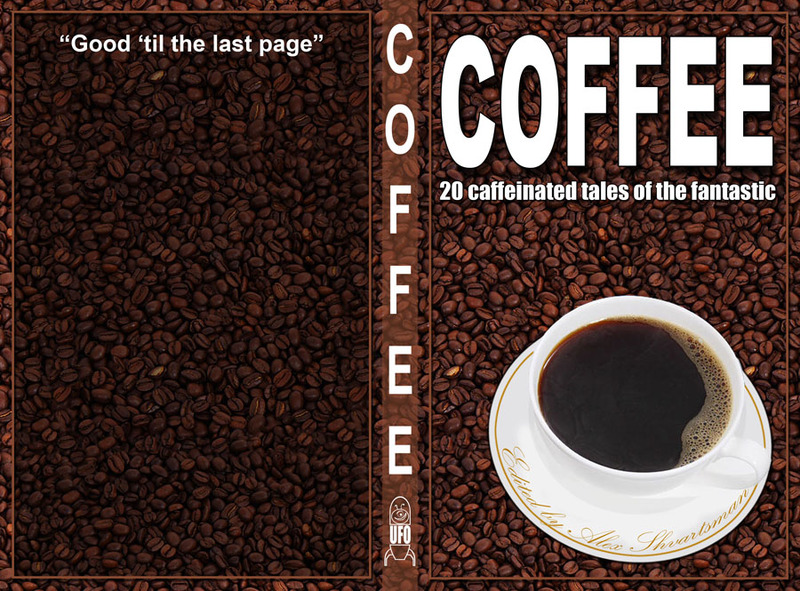 I am waiting on some contracts and hope to announce the first pair of stories contracted for COFFEE really soon. Remember, we’ll open to original story submissions the moment this campaign reaches $1000. So start thinking of a cool (or hot!) coffee story idea! 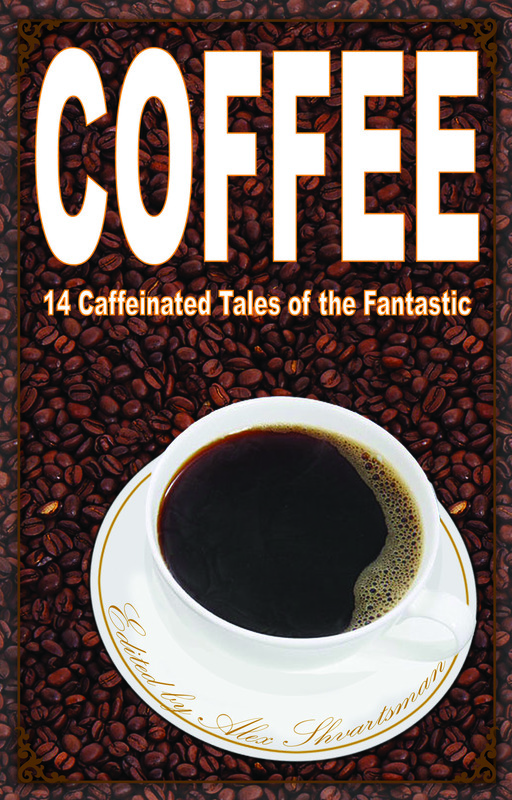 UFO Publishing launches COFFEE: Caffeinated Tales of the Fantastic. We’re seeking to collect 40-50,000 words of fiction where coffee or tea is an integral part of the plot in some way. 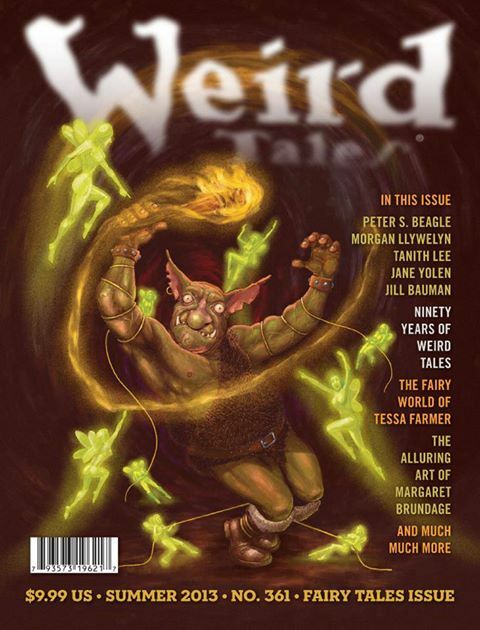 For the moment we’re considering reprint stories, but will be able to purchase some original fiction if the anthology is fully funded via Kickstarter. The Kickstarter campaign launched tonight to help fund this anthology. We’re offering great rewards such as copies of the three released and upcoming UFO Publishing titles (UFO, UFO2, and COFFEE), posters of Maggie McFee’s “Boom” artwork (pictured below), and other cool items. 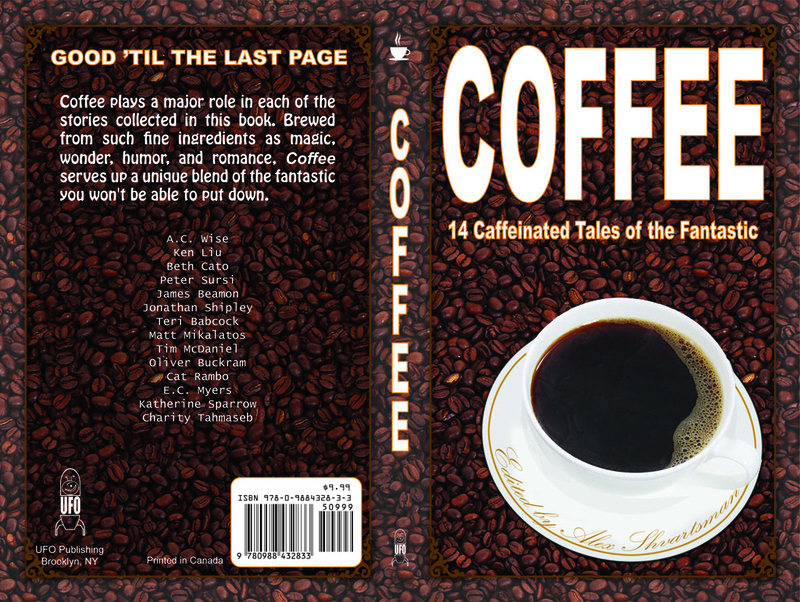 Please help us by spreading the word of this campaign via social media, and pre-ordering copies for yourself and all the coffee addicts in your life! “Boom” by M. McFee. Get a poster as one of the Kickstarter backer rewards!